It has been universally acknowledged by the laptop users that choosing the most appropriate laptop is the most confusing job and hence a guide can always help people in such situations. With the release of Windows 8.1 and with its recent update, the OS has been pulled forward towards the tablet and touch future even with the return of the Start menu. Along with the boost in performance that is offered by windows 8.1, it is indeed a boon for the wide variety of laptop-tablet hybrids that are recently getting flooded in the market. The range of MacBooks of Apple still continues to impress and we have also seen Chromebooks emerge as not only the most affordable laptops but also as fashionable coffee-house companions. It is fortunate enough that the cheap laptops are more capable and powerful than ever before. Likes of AMD, ARM, Intel, Nvidia start integrating both graphics and processor for giving optimum performance. This clearly means that high-end devices like a latest laptop are becoming perfect replacements for your computer and are also being able to cope up with intensive programs. What is there in the list? Let us take a look at some of the best OS X, Windows and Chrome OS laptops that have entertained us since the last 6 months. These laptops have excelled in themselves and in the testing process this year. 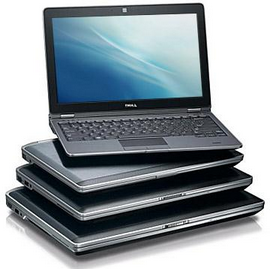 Check out how much you should spend on a latest laptop in 2015. Budget is definitely a huge consideration but when you’re looking for the ultimate laptop, you’re more convinced about getting it. These days it is possible to get a lot for your money from a budget laptop and even a Chromebook or a cheap Windows 8.1 can suit the needs of many people. Unless you’re a gamer and you use intensive applications, you won’t require spending a huge amount on a laptop. But in case you can afford one, then it is always better to invest in the best one. There are hybrids in the market too and you can either have all the features of a laptop in a tablet or the vice versa and invest your dollars in a tablet. Although the designs vary hugely, you will definitely like one or the other. Screen quality, weight, battery life or looks, you will definitely like the laptop specification of any model in the market.